Goal 1: Preserve Nevada promotes networking and information resources that foster careful stewardship and conservancy of our cultural resources. One of the most pressing needs in our state is to provide a central clearing-house for statewide preservation information. Groups across our state often face complex preservation situations with little outside help. It is vital to establish an easily accessible state network to support those preservationists who work out side Nevada’s primary urban centers. Goal 2: Preserve Nevada works in developing strategies that will help create vibrant communities through preservation incentives and advocacy . Communities throughout Nevada have struggled to retain and enhance their downtown areas. Population shifts, increased suburbanization, and the development of alternative commercial centers such as shopping malls and big box retailers, all threaten the vitality of Nevada’s downtowns-many of which are in economic and social decline, under-performing, vacant, and deteriorating physically. Preserve Nevada will help reverse this trend. Community-based downtown revitalization efforts can return downtowns to thriving economic and social centers that meet the needs of today’s customers. In partnership with industrial and tourism development, preservation and revitalization of downtowns stimulates economic interest, generates income, increases quality of life for residents, and retains community heritage. Goal 3: Through educational outreach and heritage education Preserve Nevada seeks to engender in Nevada’s children an appreciation of their irreplaceable historic buildings, mining districts, archaeological sites, historic neighborhoods and Nevada heritage. Preserve Nevada is developing a statewide media campaign which will incorporate public service announcements, programming through our PBS affiliates, the History Channel and A&E. Preserve Nevada is a participant in statewide heritage programming “the Heart of Nevada” a public awareness campaign funded through our corporate partnerships and a grant from the Nevada Commission of Tourism. Through the Public History Program at University of Las Vegas, Preserve Nevada is developing outreach projects that will underscore multiculturalism and illuminate the eclectic character of Nevada. Goal 4: Name Nevada’s 11 Most Endangered Historic Places: Relying on the model established by the National Trust for Historic Preservation, Preserve Nevada will issue an annual 11 Most Endangered Places list. The goal of this list is to bring attention to significant buildings, sites and landscapes that are threatened and to gather support for the effort to record and preserve the history of our unique state. 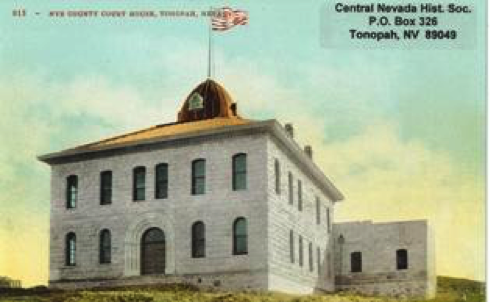 Nevadans are proud of their heritage but many of our new residents are unaware of the richness of the state’s past and the threats this heritage may face in the future. Preserve Nevada hopes that the 11 Most list will entice natives and newcomers alike to rally around our history and preserve our living memories for future generations.